You are here: Home > Will Motorola Be Relevant Tomorrow? Will Motorola Be Relevant Tomorrow? We are just a little over 3 hours for the big Motorola announcement and expectations are high. Motorola, more than ever needs a win to return itself to the status and power player in the wireless industry it has not held since the glory days of the Razr. Love it or hate it, the Moto Razr was a remarkable design and a phone that certainly shaped the future, just as another phone has introduced smartphone features to the masses. 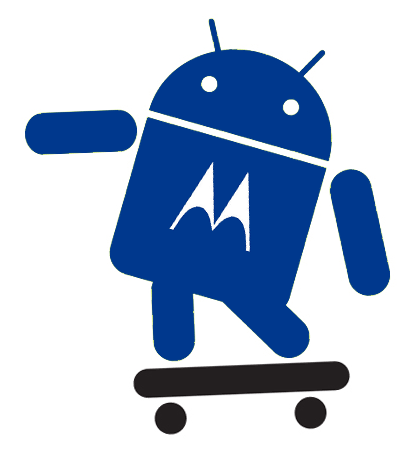 Motorola knows what is at stake as their relatively new CEO has bet the farm on Android being their white knight. With just hours away, what do you hope to see today? Rumor has it that T-mobile will be a big winner a few hours from now with T-mobile CTO Cole Brodman expected to speak. What would satisfy you? What would wow you? Sound off below! Definitely waiting to see what is officially unveiled from Moto today. As much as I love the HTC devices I am eager to see what other OEM’s unveil like Samsung and LG as well. I cannot stand Motorola products because they are horrendously unreliable in terms of quality. They simply fail, all the time. It’s difficult to make an unreliable cell phone, which has no moving parts. Yet Moto managed to do just that with the Razr and countless Nextel phones. Not to mention that I have always hated their UI, but Android should fix that. So unless they fix their quality issues, I’ll stick to Android on HTC. Forget MOTO, Engadget confirms that Verzion is selling the Touch Pro 2 for $199.99 with a two year plan. Just include UMA and it will be my next device. What do current cellphones have now that didn’t exist prior to and was influenced by the Razr? The rest of this article was fine, but you had to throw in that one bit of hyperbole and wreck it. The Razr was a fad, not an innovator and hardly remarkable outside of its first-of-its-kind slim design. So the metallic “not buttons” buttons were so remarkable that I see them on other…. Motorolas? How did it shape the future? You cant be suggesting that the slimmer and slimmer phones we get now is a direct influence of the Razr? That’s silly… phones would be smaller/slimmer and more powerful today even if the Razr had never existed. It started as $800 import that everyone scoffed at. I told friends, “check out this new motorola, check out that design” and people would start going on and on about the price. When it was premium, the latest of the latest tech, no one cared. Then the phone carriers subsidized it and starting giving them away. Well everyone wants to look like Captain Kirk. How neat! So everyone and their mother and grandmothers had one. At the height of its popularity, the Razr was already nearly THREE years old (because we Americans love signing 2 year contracts for an outdated phone… hey, come on, what do you want for FREE??). Subsequent Moto designs, hot off the popularity of the Razr, never took off as well as the Razr. The Pebbls, the Rokrs, whatever. They weren’t bad, I’m not saying no one bought them, but they weren’t as popular as the Razr. The Razr 2 was an even bigger failure. So from what I can tell, the only future the Razr shaped was Moto’s slippery slide because Moto put all their eggs in one basket w/ that “moto form factor” when they should have focused on smartphones. Moto is the Atari/Ford of the cellphone world. They do need a comeback, but the Razr is what ruined them… far from remarkable or influential. A flash in the pan. I’ve been using my trusty Razr for almost 3 years, so I trust the brand in terms of quality – it’s the most dependable phone I’ve ever owned. I’m very open to what they have in store, that said, please be great. Fad or not people still ask for them. I understand there is not much to them but there are still people who want them. Its still a great phone for mothers and grandmothers who don’t need a data device. Sso say what you will that phone will go down as one of the best ever even if moto rode it a little too long. Not the phones fault. I dont think the writer was asking everyone to bash Moto. lol I havent had a Motorola since the A780 and i loved it. I hope bring the big guns to T-mobile and release the Sholes and the Morrison on the network. Any Blogger covering this ??? The rumor is they have one thinner, faster and more precise than the iPhone. That better be what T-Mo is getting. Fine if you want to say that the RZR wasnt a prodigy to phones that come after it then you have to agree the same about anything. Since people are going to find ways into getting better products to consumers.